Medical students' early exposure to rural clinical practice and the unique lifestyle that comes with it, is a key influence in them undertaking a rural medical career in the future. That’s exactly what the John Flynn Placement Program aims to do! Each year 300 rural placements are available to medical students from Australian universities. After registering and completing an application, successful students are matched with a doctor in a rural location. Whilst undertaking their tertiary studies, students spend two weeks each year over three or four years working alongside a rural doctor (their Mentor), experiencing the diversity of rural practice and expanding their hands-on skills. During their rural placement, most students reside with a Host or are provided a Community Contact who gives them an exclusive insight into the social and cultural life of rural Australia. The key aspect of the JFPP, is that students return to the same rural location each year; creating lasting connections with the people and the place. The John Flynn Placement Program is a highly-regarded and respected program with a strong reputation for delivering positive rural experiences, why not get involved? Originally referred to as the John Flynn Scholarship Scheme, it was established in 1997 as part of the Australian Government's long term strategy to attract more doctors to practice in remote and rural Australia and improve the quality of health care in these areas. For the first few years of the program, the then John Flynn Scholarship Scheme was delivered via Universities. Since 2000, the JFPP has been managed by a national administrator. 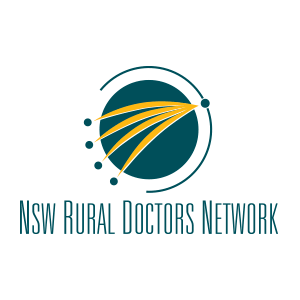 This role has been performed by a number of rural stakeholder organisations: the National Rural Health Alliance (2000-2002), Australian College of Rural and Remote Medicine (2003-2017) and the Consortium of Rural Workforce Agencies (2017-present). The JFPP looks forward to connecting many more medical students to the many great rural communities throughout the nation. Image courtesy of State Library of Queensland. John Flynn was born in the rural town of Moliagul Victoria. In 1911, he completed training to become a Presbyterian Minister and was posted to a rural mission 500km north of Adelaide. From his time at the mission, he gained an understanding of the difficulties faced by people who live in the outback. In 1912 the Presbyterian Church requested John to complete a report on the conditions experienced by locals across central and northern Australia. The Australian Inland Mission (AIM) was established as a result of the report with John appointed the Head. During his 39 years as Head of the AIM, John published the magazine called The Inlander, which included statistics, photographs and stories of people living in rural locations. After many years of fundraising to purchase an aeroplane, the AIM Aerial Medical Service made its first flight In Queensland, from Cloncurry to Julia Creek – 136km away. The question that arose was ‘how could people in isolated communities call for help?’ Over the next few years, the AIM Aerial Medical Service expanded the number of bases and with the help of Alf Traeger (a creative inventor with a fascination for electrical items) John brought the two-way voice radio to the bush. He wanted the AIM Aerial Medical Service to be a nation-wide. In 1936, the Presbyterian Church handed over control to the Australian Aerial Medical Service and the Government began to financially support the service. Today, it is known as the Royal Flying Doctor Service and still in existence! John Flynn passed away in 1951 aged 71 with the Order of the British Empire to his name. Seeing John Flynn was an early advocate for remote and rural health, it’s fitting that the Program is named after him. 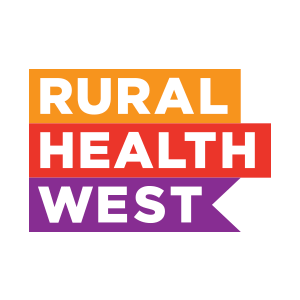 Each state and the Northern Territory has a Rural Workforce Agency (RWA) that provides support to and advocates for the rural health workforce in their own jurisdiction. 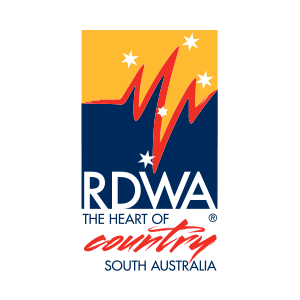 Check for the RWA in your state or territory! JFPP is a nation-wide program so the Rural Workforce Agencies have come together as a Consortium to deliver the Program throughout Australia. Health Workforce Queensland is the Lead Agency but each RWA has staff dedicated to JFPP. This decentralised model enables RWAs to engage with students, mentors and communities on a local level within their state or territory and also ensures the Program is managed nationally and uniformity is maintained through the Consortium. Rural Workforce Agencies are funded by the Australian Government Department of Health. The JFPP is an initiative of the Australian Government Department of Health. The Department established the JFPP in 1997 and provide the funding for the JFPP. The CEO’s Group comprises the Chief Executive Officer from each Rural Workforce Agency and from the Northern Territory PHN. The CEO’s Group is responsible for effective management of the Program and contractual obligations with the Department of Health. Health Workforce Queensland is one of the Rural Workforce Agencies and the Lead Agency for the JFPP. Health Workforce Queensland is responsible for administration of the Program at a national level, including contractual reporting, IT development and maintenance, marketing and guideline development. Each Rural Workforce Agency is represented at the National Operations Forum. The National Operations Forum oversee the operation of the Program from a jurisdictional level and provide feedback on the Program from a local level. This governance level ensures the operational function of the Program is nationally consistent and running efficiently and effectively. Each state and the Northern Territory has a Rural Workforce Agency. The Rural Workforce Agencies manage JFPP placements on a local level that take place in their respective state or territory. This includes promoting the JFPP at universities and health related events, case managing students’ placements, assisting with placement procedures and documentation, sourcing mentors and community hosts and contacts. In each jurisdiction there is a Consultative Working Group comprising of Program stakeholders. Thus, ensuring there is local level platform for collaboration and engagement. The National Operations Forum is advised of all feedback and suggestions from the Consultative Working Group.